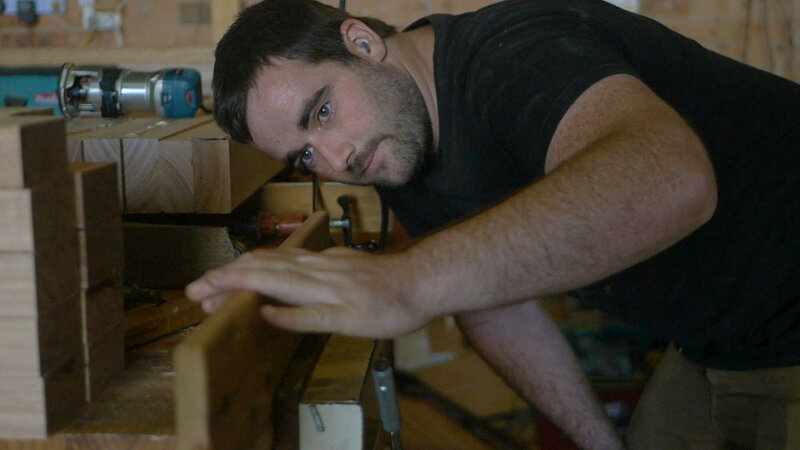 We make high-end tiny houses for a better, more sustainable way of living. Take a 360 VR tour inside our Sojourner Model tiny house to get a feel for what it’s like. It’s the next best thing to visiting our showroom or coming to one of our events. From the moment you open the front door until you lay your head down in your queen-sized master bed you'll enjoy every aspect of your small but luxurious home. 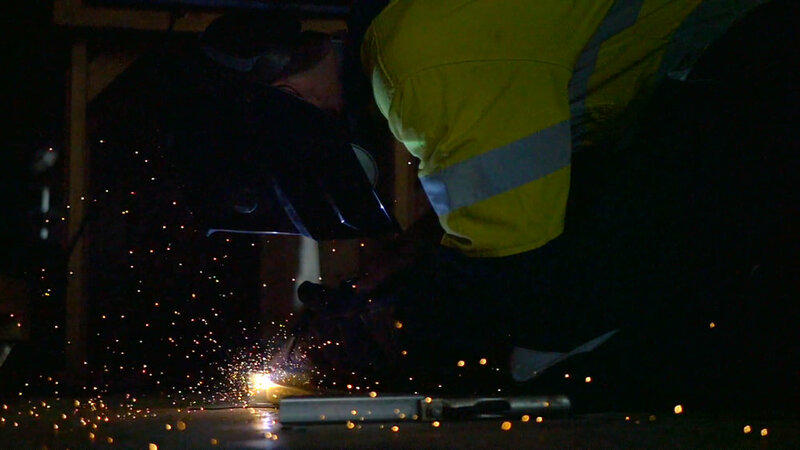 At every stage of our build process we pay close attention to detail to ensure that the finished product is just right. 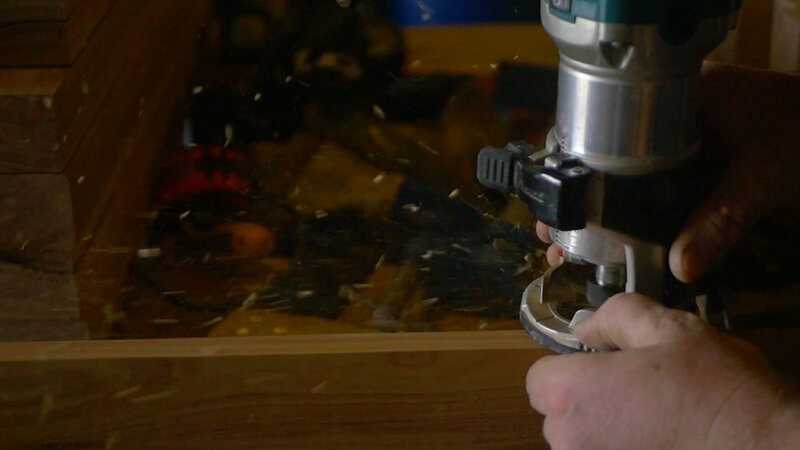 Our experienced tradesmen use quality tools for the most precise and beautiful finishes. 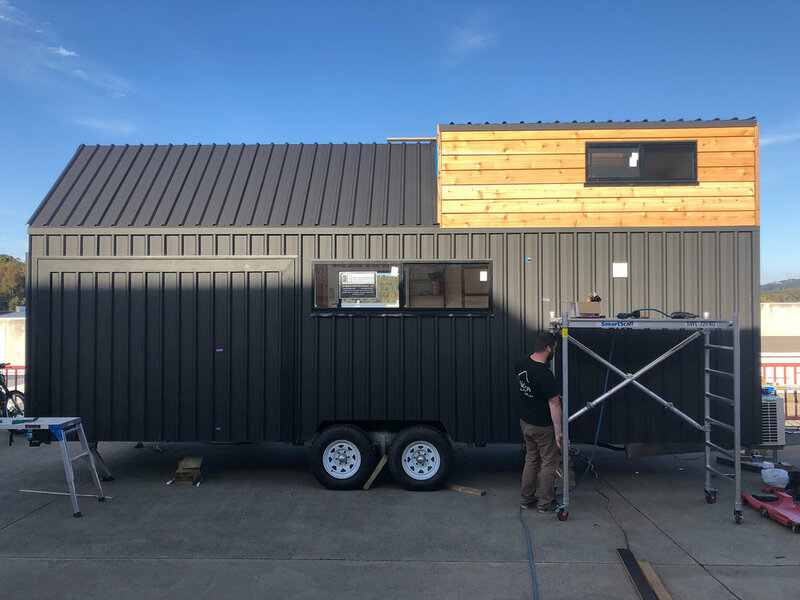 They choose only the best materials and work in a controlled workshop environment to ensure every tiny home is of the highest quality. 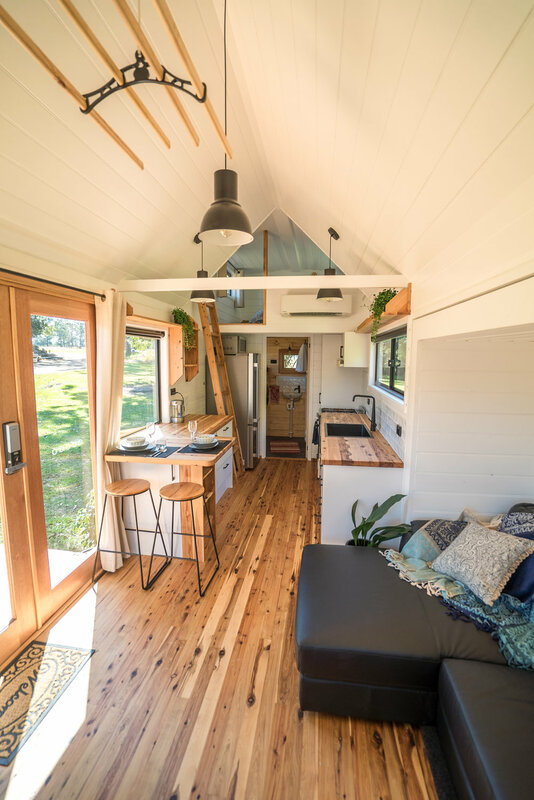 Our tiny houses are designed & built right here in Australia and comply with both the Building Code of Australia & the Australian Design Rules. Great design leads to better living spaces. Häuslein Tiny Houses don't just look stunning – they are highly practical too. Every square inch of the floor plan has been thought about. We’ve included an innovative slide-out section which completely opens up the internal space in the Sojourner model. Fixtures & fittings are cleverly chosen by people who have lived in tiny houses to maximise every area of functionality. All of this is done so that you'll enjoy living in your tiny house, even once the novelty has worn off. And because our tiny houses are trailer-mounted, you can move your home with you anytime you wish. Affordability is a big issue in housing today so pricing is important. Our goal is to provide quality housing at an affordable price. Imagine being able to fully pay off your home in 4 years instead of 30! Or did you know you can put a tiny house (they are built on a trailer) in your backyard and have a member of your household live in it full time without any DA Approval needed? Another saving of your time and money! The ‘Sojourner’ model you see pictured here starts at only $99,000 (and the ‘Little Sojourner’ starts at only $75,000). Downsizing doesn’t have to mean decreasing your quality of living either. You can have all the mod cons and comforts, like air-conditioning and dishwasher, that you may not even have in your current home. You also have the option to go off grid, enabling you to virtually eliminate those ongoing utility bills. Sign up to our email newsletter to get access to exclusive offers, new models, special events.